They’ll be devising itineraries in their head with this promotional calendar! Constructed from durable UV-coated 60# gloss paper stock. 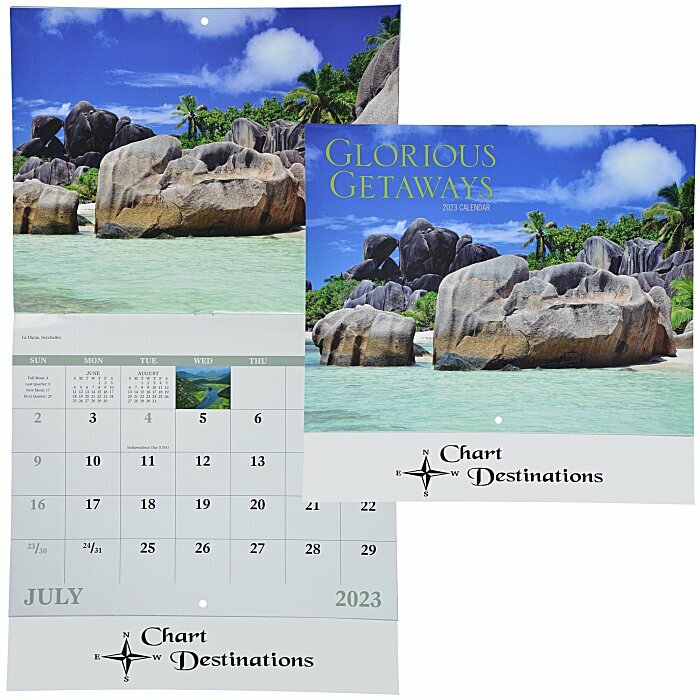 For this same calendar with a center window imprint, see item #6795-WDGlorious Getaways Calendar - Window.